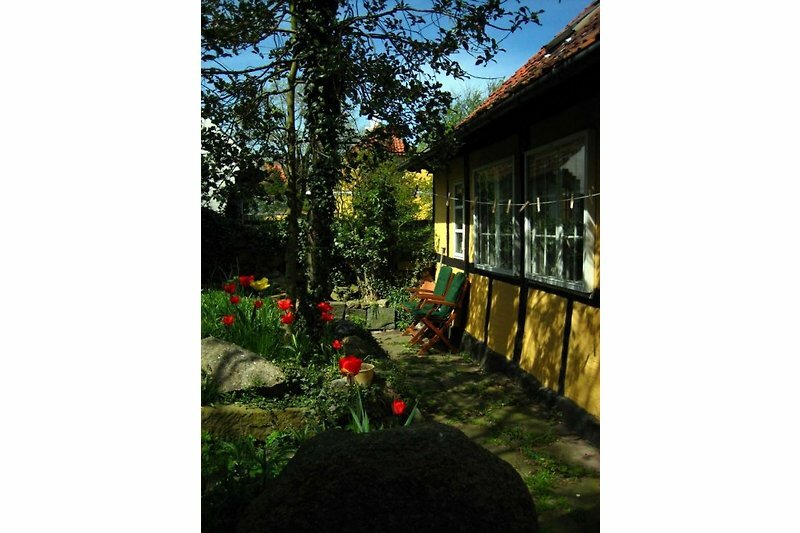 If you are looking for a charming traditional Bornholm house with privacy, this is it ;). The cottages is ideal for a couple, but can sleep four. 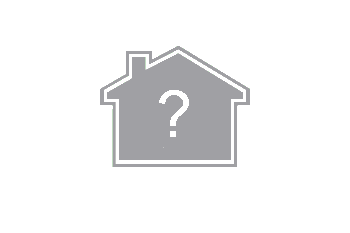 With its 2 single moveable beds on the first floor and a large double sleeping couch in the living room. And a high quality single person air madras if parents prefer smaller children sleep up stairs. 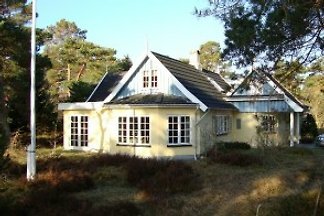 The house offers a TV set (no signal reception) but can be used with dvd player, VHS player and many tapes, Old Xbox with a few games/films, broadband internet and a cozy fireplace. 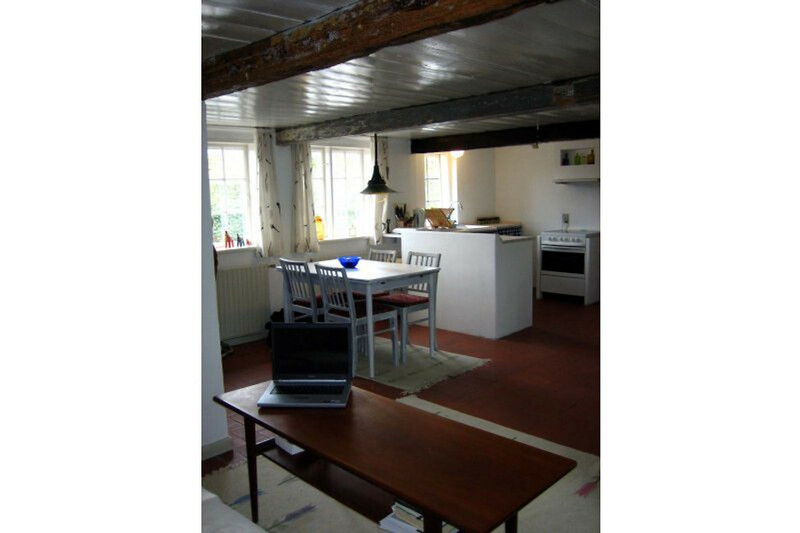 Duvets, pillows and a fully equipped quaint country kitchen. 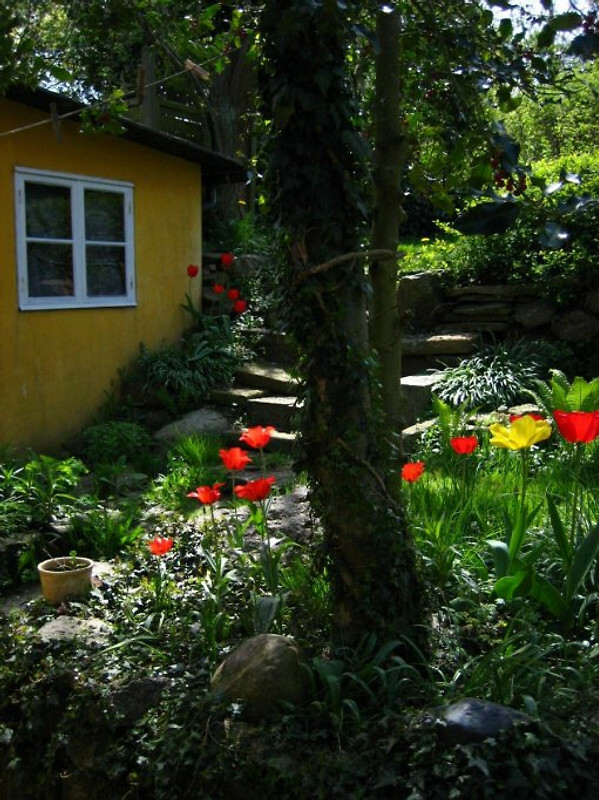 In connection to the cottage you will find my pride and joy my old charming stone fenced garden in several levels, and carefully covered in local wild flowers during the spring/summer months. It is shaded by old trees like walnut and exotic fig and dotted with little sun spots to read, relax or barbeque. 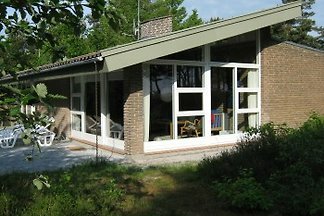 The cottage is available year round on a weekly basis. 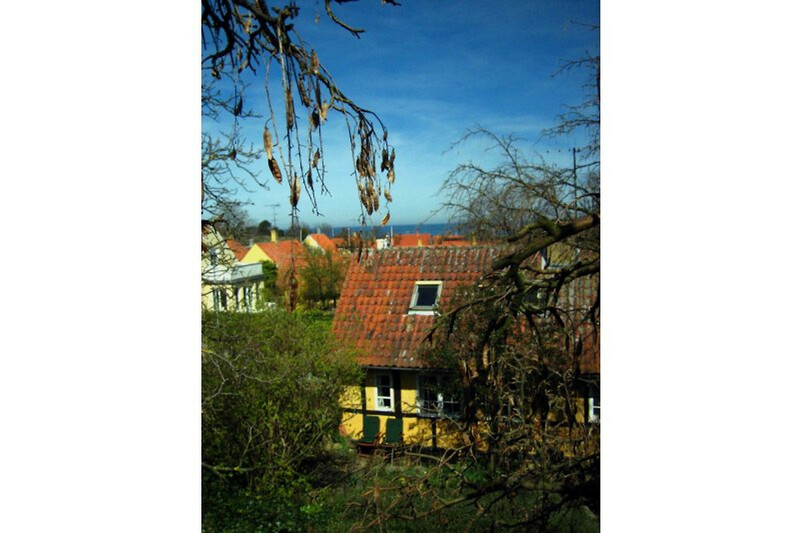 Enjoy the peace, quiet and unspoiled old world charm of Bornholm, the pearl of the Baltic in 2006 Bornholm, the beautiful Danish island in the baltic, was voted in as the 13th best Island destination in the ENTIRE world by the seasoned world travellers from National Geographic. 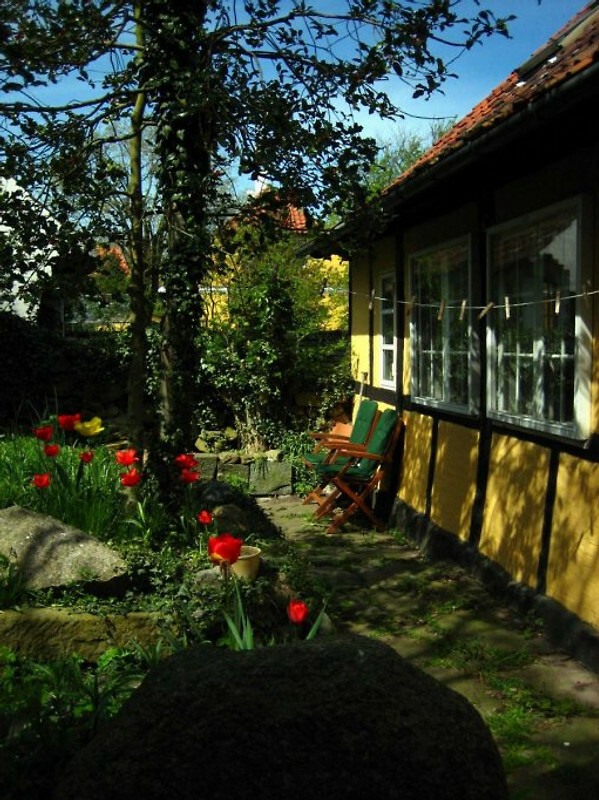 Bornholm is a wonderful combination of delightful varied landscape and colorful local architechture with quaint little towns and fishing villages. Bornholms many many attraction are all with in easy reach by car or island is only 20 km times 30 km but is an entire world all of its own : )Pictures available here this peaceful old world setting, I offer this a rustic half-timbered cottage. 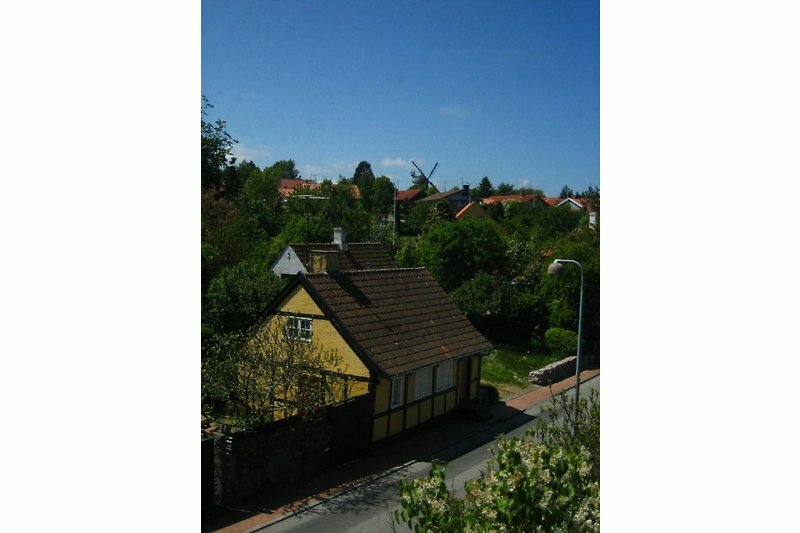 The small town of Svaneke even stands out amongst Bornholms many charming traditional towns and villages, as being especially well preserved and harmonious. 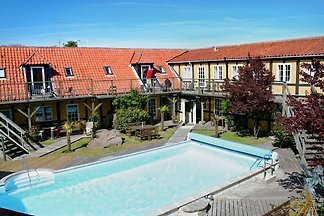 Svaneke is located on the far northeastern corner of Bornholm with a outstanding 270 degree view of the spectacular Baltic. The original small fishing hamlet grew to town size in the middle ages, from the areas several small natural harbors. To this day many colorful traditional half-timbered houses still cluster the rocks that gently sloops from the church to the sea. 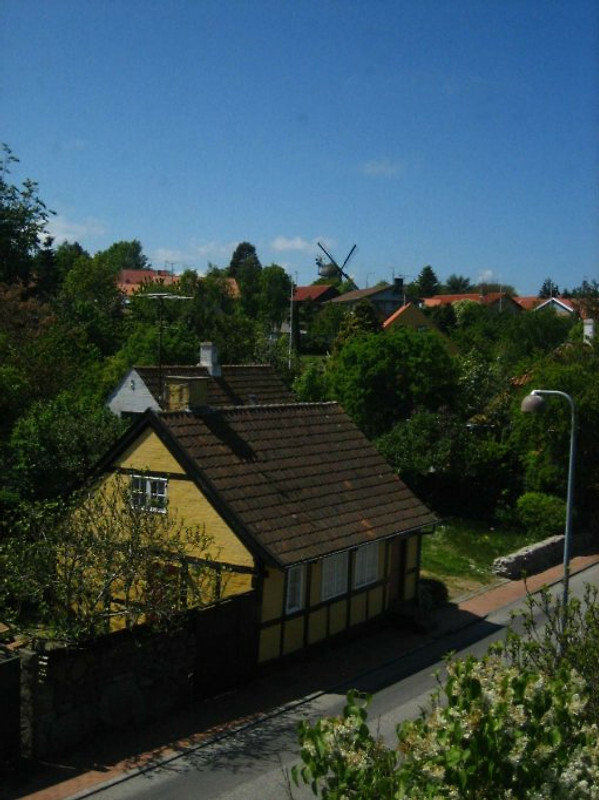 The towns dedication to preserving its architecture and history has earned Svaneke the prestigious Europa Nostra Gold medal for Preservation. Besides the many old houses the town can among other things boast of two traditional windmills, a canon armed bastion and a quaint still working lighthouse. And for those hot summer days you will find cooling relief in a nice little sandy beach hidden in the dramatic granite coast by the lighthouse. Or you can simply slip in from the rocks a mere 2 minute walk from the cottage. The town has a small cinema (with film in original languages English, German ect) and offers shopping like basic groceries as well as arts, crafts and antiques etc. The town has several restaurants and traditional production of delicious gourmet; bread, ice cream, sweets, sausages and ale, all within a few minutes easy walk.